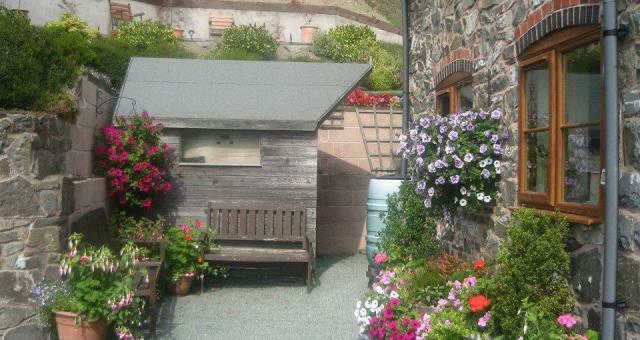 Tan y Graig01938 500574work Bed & BreakfastTan y Graig is an old farmhouse perched on a valley side just above the river Vyrnwy in some of the most beautiful and unspoilt scenery in Wales. Eleri, David and family have extended and renovated the property to a high standard to provide all modern conveniences without spoiling the historic character of this four star property. It looks as though this solid stone building has grown out of the landscape, as though it has always been there. The minute you walk into the roomy flagstone floored entrance hall you will get a strong sense history from the ancient stone walls. The views in all directions are beautiful with the broad valley of the river Vyrnwy to the front surrounded by wooded hillsides which cry out for further exploration. Wake up in the morning to inspiring views from your bedroom windows. The gardens are large and well cared for with plenty of seats for whiling away sunny evenings . 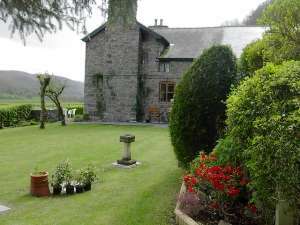 Tan y Graig is an old farmhouse perched on a valley side just above the river Vyrnwy in some of the most beautiful and unspoilt scenery in Wales. Sample Eleri’s cooking, you will not be sorry. Evening meals can be provided by prior arrangement . Why risk a pub meal when you can have real home cooking of a high quality at Tan y Graig. Full Welsh breakfasts are hearty with home made breads and packed lunches can be prepared with advance warning. Tan y Graig is situated on the A495 4 miles west of Llansantffraid. Alternatively travel north from Welshpool along the A490 Bala /Llanfyllin for 6 miles to junction with A495. Turn left -Tanygraig 1.5 miles along.